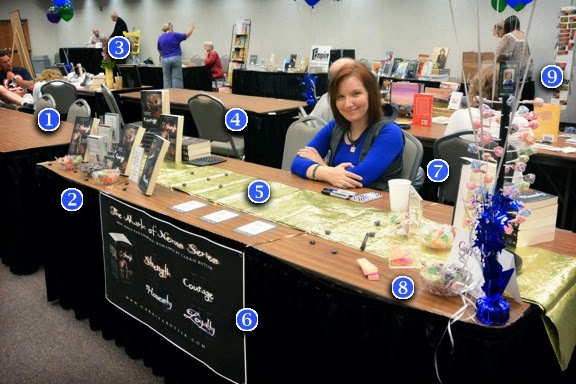 So, You're a Writer...: ORFOB Signing & A Table on a Budget! ORFOB Signing & A Table on a Budget! 4:30 a.m. - I woke up, cursed the world, and put on enough makeup to cover my undead look. Side note: My mom rocks, too. She volunteered to puppysit! 9:00 a.m. - We pulled into a parking spot a few seconds before Tara Tyler zipped in beside us. I was still disoriented from the car ride, but quickly came to when she burst from her vehicle and started yelling, "GET OUT OF THE CAR!!!" LOL I love her. 9:10 a.m. - We couldn't find anyone near the entrance who knew where we were supposed to be, so we wandered in. Finally, at the far end of the ballroom, someone started waving me down. "Carrie! You're right here across from me!" 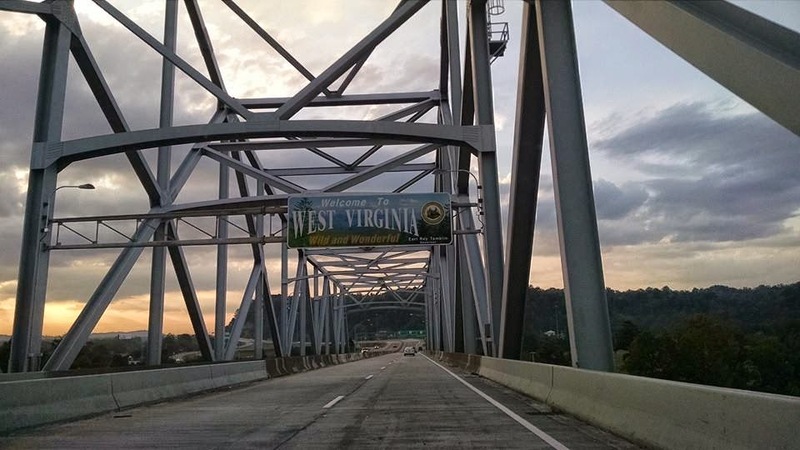 My first thought was, "Wow, West Virginians are friendly..."
Turns out, it was Casey L. Bond! Haha :) She follows me on Twitter and participates in #NALitChat. We became fast friends. Ignore the fact that I still look half-asleep. On a completely unrelated note, I got to meet Elizabeth Seckman! LOL I'm just teasing, she was there in the allotted window of time for set-up. She and her husband are awesome. I love them. 10:00 a.m. - The festival started, and people began to trickle in. The rest of the day until 4:00 p.m. - I was a couple of tables down from Tara and Elizabeth, so I used my ninja skills to sneak over whenever there was a lull. ► The Cabell County library expressed interest in buying my books. 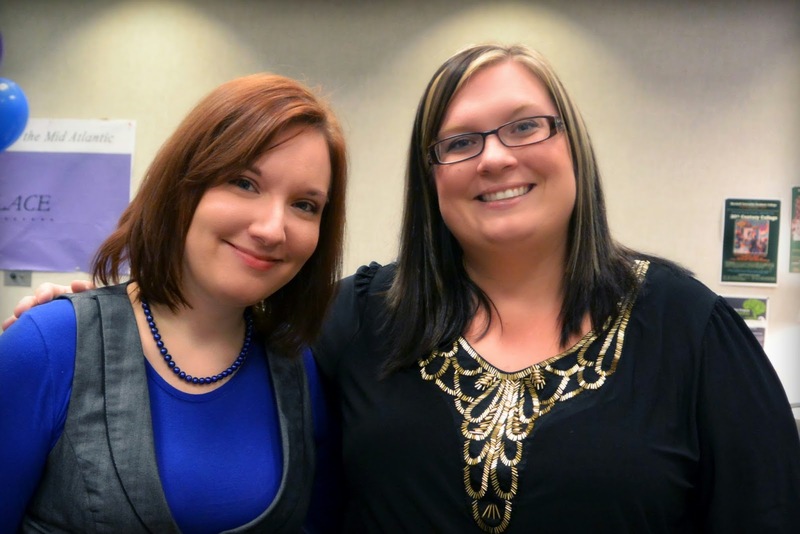 ► I met an awesome author named S.G. Redling. ► My dad and sister were their usual hilarious selves and made friends. ► A woman complimented my book covers and ended up taking Forward Authority business cards for her writing group. ► I conned—I mean talked—Casey into doing an audio interview with E.J. and me. ► A woman stopped to look at Strength, squinted at it for a while, and then checked her phone. After a few minutes, she laughed. "I thought this looked familiar. I bought it last week!" 1. My postcards and business cards were multipurpose. For example, my Strength card had ways to purchase the e-book on the front and a signing blank on the back. 2. Arcylic display pieces are an investment for all future events and are a great way to make your literature look professional. 3. It's less expensive to purchase your books directly from the source, i.e. Createspace, if you have the opportunity. The only downside is longer ship times. 4. The puffy stars decorating my table were made from folded scraps of paper, thanks to my sister's scrapbooking skills. 5. My gold runner was a clearance item and cost less than two dollars. 6. The banner was a Black Friday purchase from Staples and came in around five or six dollars. 7. Candy is less expensive when purchased in bulk. 8. My giveaway entry slips used to be my outlining index cards—you know, before Scrivener. 9. My dad made my Dum-Dum tree and its height really helped balance out the table. Do you have any tips for table decorating on a budget? Looks like you had a great time! I'd suggest always having a table cloth with you, just in case. The events I'm at (not fancy author stuff--yet) the tables tend to be a little...unattractive...and require a cover. The gold runner is a nice touch. So is the candy. Your display is really cool. Saw Tara's post already and sounds like it was a really successful event! Awesome table. And thanks for the tips. That's great your dad and sister went with you. I'm shy too and would love support like that. Haha, I love your numbered photo chart, explaining each aspect of table setup! It's great that the local library will be buying your books. 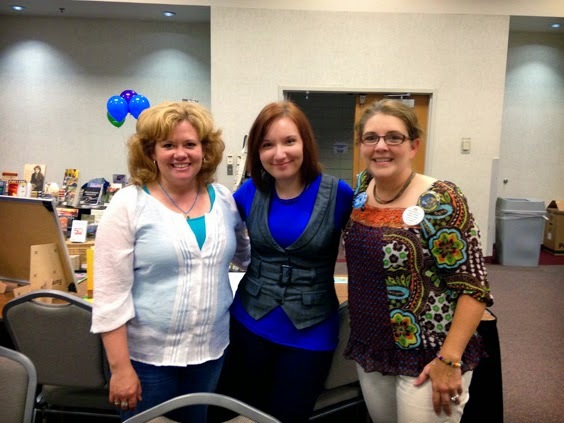 And what fun to meet so many authors. I've done some book fairs and BEA. My hubby made me posters of my covers that are on foam-core so they stand up quite nicely just about anywhere and attract attention. I bow to your table decorating skills. They far exceed mine. It's a beautiful (and educational) setup you've got there! I find if you place cookies strategically, people seem to forget about the table decorations, or lack of them. Oh, in your tired photo, you look adorable. I just wanted to tweak your little cheeks. PS, your table was definitely the best one! You got to hang out with Liz and Tara? So jealous! Friendly people are the best. Your table looks great and glad you enjoyed yourself. You look great even when sleepy Carrie. As we say in Boston: ur a stunnah! I love the floral arrangement and cursive on the banner -- very classy. I feel like I'm stepping into your office (not in the sense in which my kindergarten teachers used to tell me to step into theirs when they thought I'd misbehaved). I LOVE the pictures!!! Carrie, you are SO photogenic. Gorgeous. How fun!!! Thanks, S.K.! I appreciate it. It really is great—better than my own local library has ever done! Thank you, Loni! :) I'm sure you have awesome tables, though. You have the eye (proof: your photography)! Strategic ideas are a great idea! Thank you, Lynda! I must admit, 4:30 a.m. was pretty harsh. That's when I'm usually going to bed after design work! They really are! :) Aww, thank you so much, Sheena-kay!